Both my husband and I are regular cross fitters. My husband is rather strong and constantly pushes himself further and further. He loves competiting in competitions when he gets the chance. Late last year, he asked me to join him in a competition on the Gold Coast – Personal Best Test. At first I thought he just wanted to compete in the mens and me in the ladies but then he said no, as a team – just for fun. I couldn’t say no. So today was day 1 of the competition – 3 main events, 5 side events. It was tough and pushed us but most of all it was fun, working out together, spending the day together, encouraging and supporting each other. 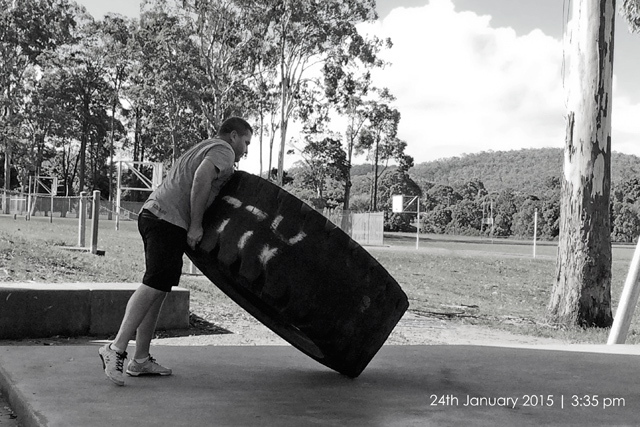 We did things that I have never done – swung a sledgehammer, carried a keg, pushed sled and my most proud moment was a personal best on my overhead squat by 9kgs by doing 2 overhead squats at 25kg.